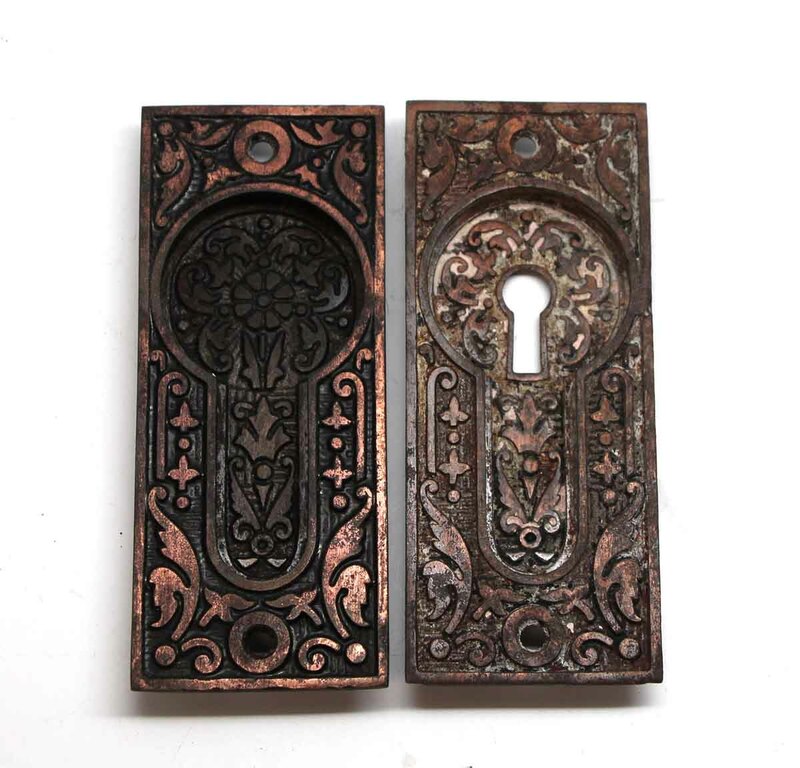 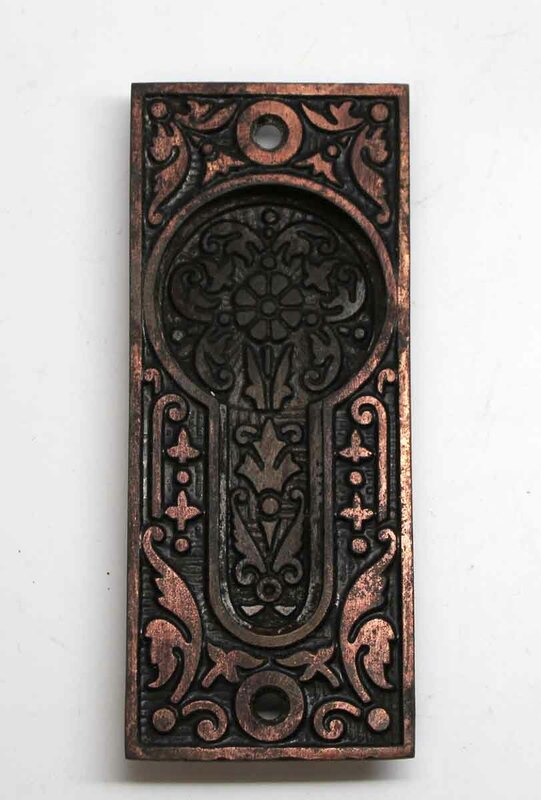 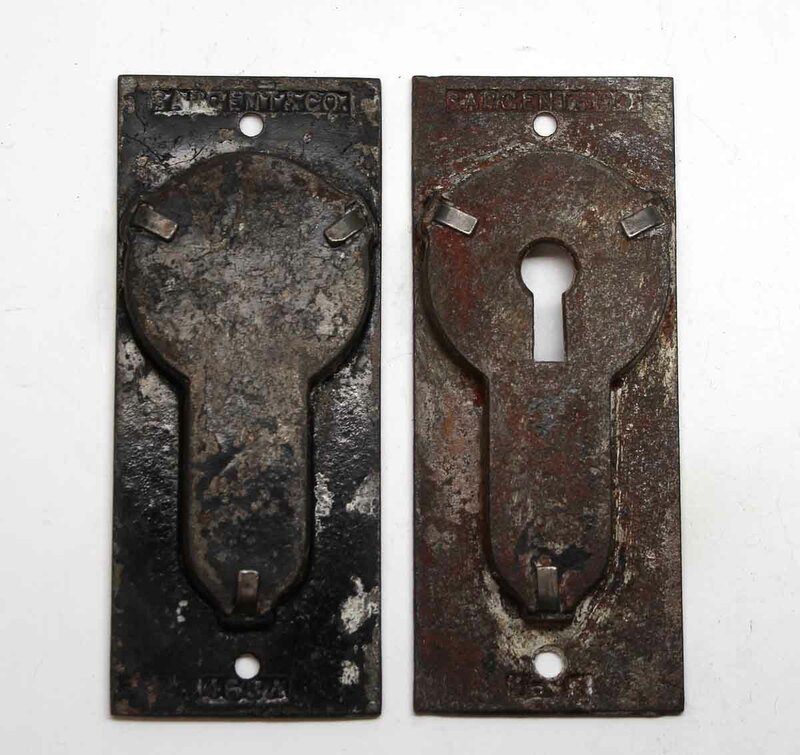 Cast iron Aesthetic style pocket door plates. 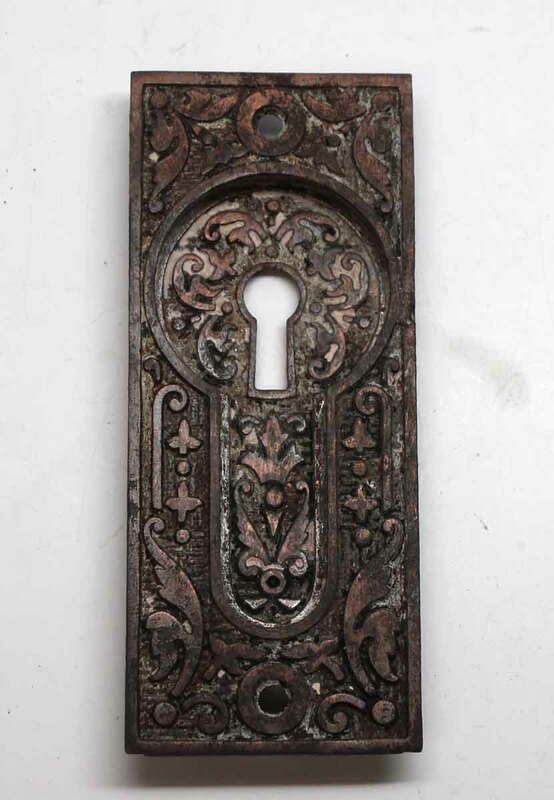 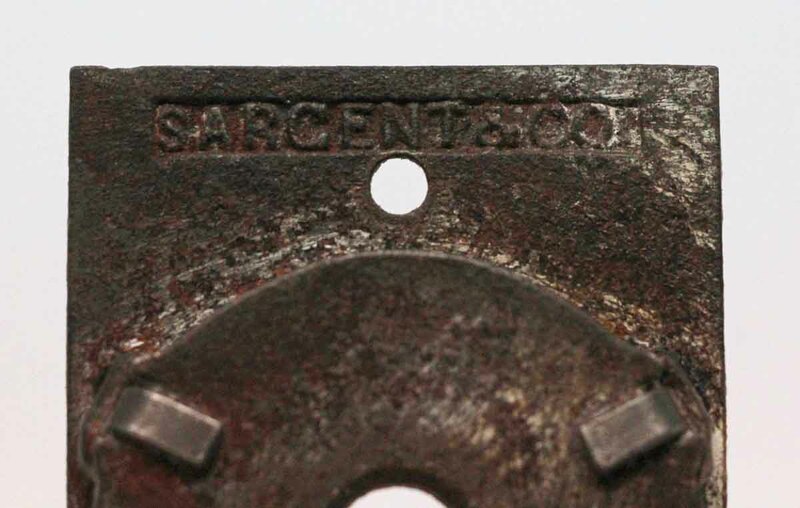 Made by Sargent & Co. One plate has a keyhole. Sold as a pair.